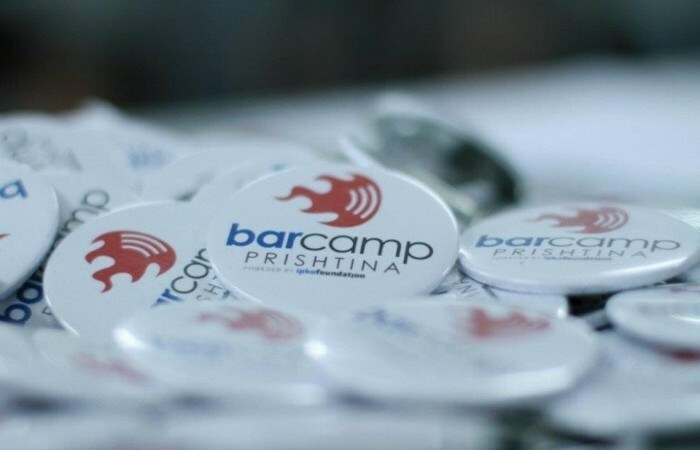 Being one of the rarest events organized in Kosovo that brings together outstanding people with appealing topics, BarCamp Prishtina continued its goal by arranging the fourth event held at Unicef Innovations Lab. Around 70 people made for a lively audience. Presentations on scientific publications in Kosovo, blogging and online journalism, promoting entrepreneurship among young people through Junior Enterprise concept and Freedom of Information – FOI were the key talks on this BarCamp. Valmir Krasniqi, Hana Marku ,Valmir Mustafa, and Valon Brestovci had an interesting debate with the participants. Problems and solutions about scientific publications in Kosovo were the main elements of Krasniqi’s presentation. A very broad debate followed his speech where audience had opportunity to discuss different issues related. Valmir is mathematician and ‘Kosovo’s Scientific Publication Institute ILIRIAS‘ member. Together with the famous spanish profesor Jose Luis Barerron, Valmir is editor in chief in the international magazineMathProblems. He is also editorial manager in international journal “Journal of Inequalities and Special Functions”. You can find all the Valimir’s scientific work here. Marku on her presentation spoke about the Kosovo2.0 blog. She gave some practical advice on how to blog, the differences between a blog and journalistic text and the possibilities to blog on K2.0. Hana is blogger and editor in the Kosovo2.0 magazine. She writes, edits, and coordinates all the writings for this site. She is a well expereinced female and keeps a master degree on Cultural Theory and Comunication at York University in Toronto. Promoting entrepreneurship among the youth through the Junior Enterprise concept was the main subject of Mustafa’s presentation. In his speech he explained why the development of this area is important described Albanians’ experience abroad with Junior Enterprise. Mustafa is master candidat for Central European Studies at Vilnius University in Lithuania. He is a co founder of Uni Group NGO, an organization which aims to incerease entrepreneurship among youth in Kosovo. Brestovci during his presentation spoke about everyone’s right to open and public information, the easiest way for contacting relevant persons in government institutions, and he gave some key examples for data that can be of crucial importance for citizens. He also addressed the most important matters related to informatazyrtare.org. Brestovci is Member of the Executive Board of Flossk and also assistant and coordinator of many projectes in cooperation with Unicef Innovation Lab and Flossk. He has created the website Informatazyrtare which is lunched in BarCamp Prishtina #4.